I appreciate those of you who are following this blog. If this is your first time here, I hope you will also follow along. I visited Winter Park, Florida again. It’s a quaint town with much to offer, especially photo opportunities. The main shopping area is on Park Avenue. It features many specialty shops, and restaurants. There’s something on Park Avenue for everyone. As you can see, this is session number seven. The camera’s and lens are the same. I hope you enjoy your peek into my world of photography. I’m not too crazy about this post because I’m having problems with WP again. Likes, comments, and follows are always appreciated. 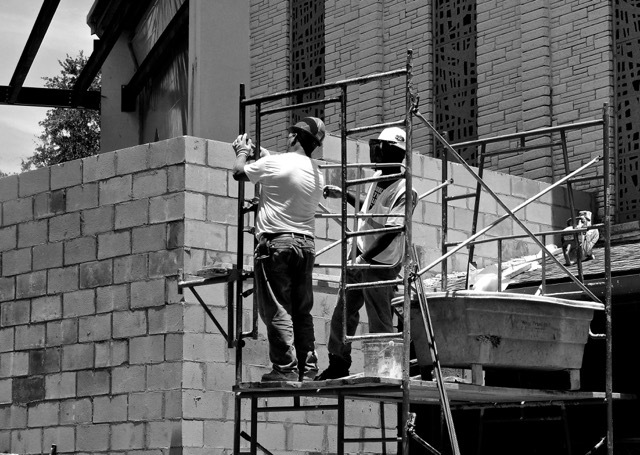 These workers are building an addition to a local church. 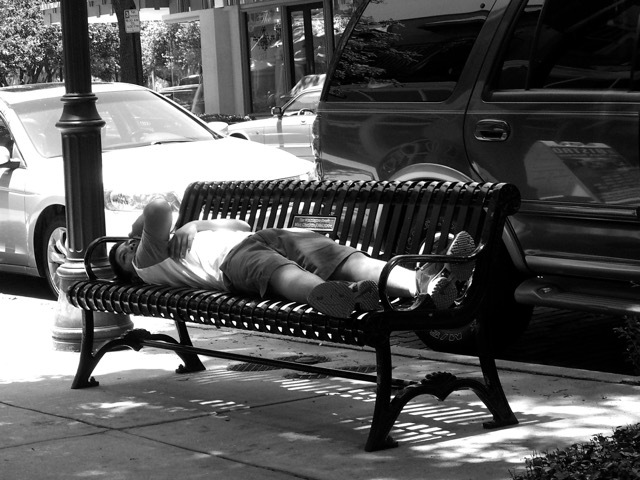 This guy seems to be having a nap, but he’s on his cell phone. 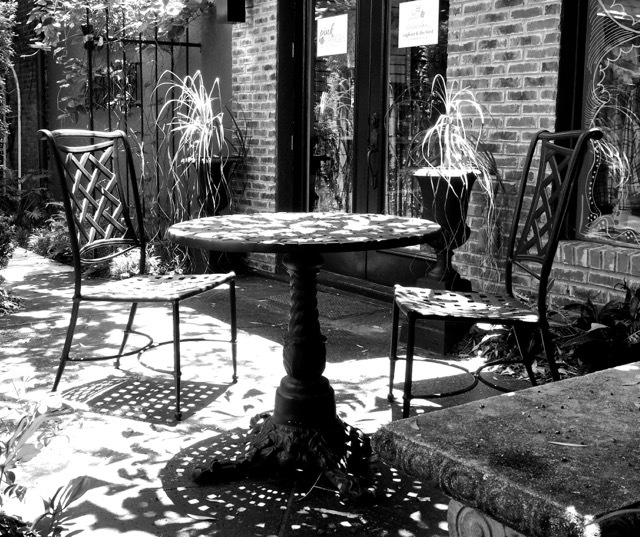 I liked the play of light and shadow on the table and chairs. 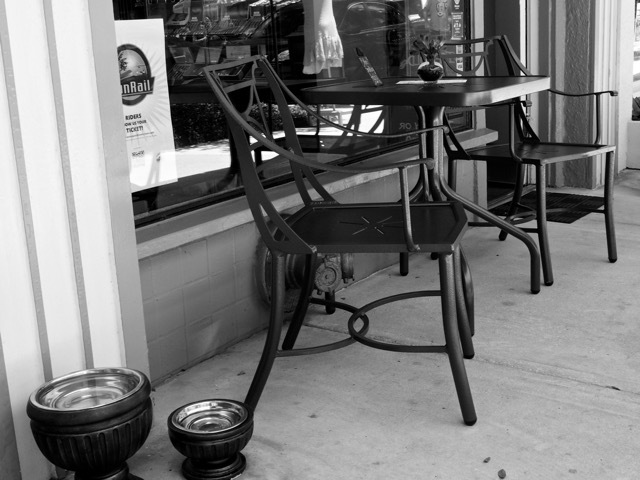 Two inviting chairs and a table sit next to some doggy watering bowls. Strolling by while on her phone.